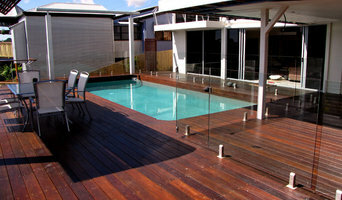 Simply Slat Fencing is a family owned and operated business based in Perth’s Northern Suburbs. We specialise in Aluminium Slat Fencing, Privacy Screens and Slatted Gates, including automated swing and sliding gates. We can supply DIY Kits or supply and install Aluminium Slats and Gates in a variety of different styles and colours including popular timber effect smart wood slats. Founded on the principles of honesty and providing a personalised service, we custom design each job to our clients requirements. Our products add a modern and stylish touch to any property. If you are considering Aluminium Slat Fencing, Privacy Screens or Slat Gates for your property then please contact us for advice and a no obligation quote. We are Perth’s largest fencing wholesaler carrying an extensive range of glass fencing components suitable for pool fencing glass and glass balustrading systems. We stock a wide range of 8mm, 10mm, and 12mm toughened glass panels in varying shapes. We also stock commercial quantities of powder coated posts for semi frameless glass systems, fully frameless systems using duplex spigots(better than 316 for corrosion resistance) along with a wide range of suitable accessories to give you the best range and competitive pricing. We also stock a full range of 900mm high panels and assorted fixings to supply fully modular balustrade systems. Feature Fencing is a West Australian company providing quality fencing and gates for home, commercial or industrial applications. Unlike other fencing companies we do not use pre-made fencing – every one of our jobs is custom designed to suit the need and specifications of our clients fencing job. Whether you are looking to increase security of your home or business, install a pool protection fence, or simply want to add some style and class to your home, Feature Fencing can offer an affordable and attractive solution. We consider ourselves the best company for fencing Perth has to offer if you are looking for quality workmanship and value. We at Feature Fencing are committed to service and quality and ensure our work always exceeds our clients highest expectations. We offer punctual, free measure and quotations to all areas as far as Mandurah to Yanchep, so if you’re looking for fencing Perth, or the Metro area Call Feature Fencing. 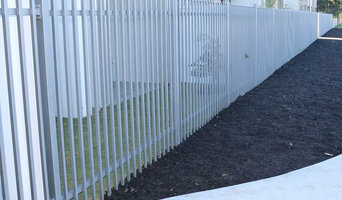 Team Work Fencing Contractors (TWF) is a leading fencing contractors company located in Perth, Australia. We offer fencing design, installation and maintenance services to local residents and businesses in Perth, Bunbury and all through the South West. Some services are offered throughout Western Australia. TWF specialises in visually appealing fence installations that deliver exceptional security, privacy and elegance. In operation since 2008, our company is committed to providing fast, professional service while employing environmentally friendly practices. In fact, fences installed by our team are often 100% recyclable. Contact us today to find out how we can help you secure your commercial and residential properties. We look forward to speaking with you! 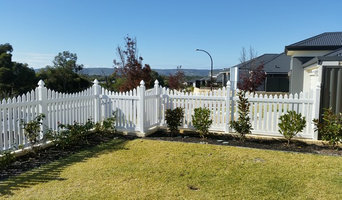 Perth Picket Fencing is Perth's premier Timber fencing company. We supply and install all types of timber fencing to the Perth metro area. From Gothic Picket Fences, Jarrah Paling, Slat Infills, Timber Screens, Pinelap Fencing through to Gates and Pool Fencing. So, no matter how big or small your fencing project is, Perth Picket Fencing have a solution to meet your needs. We pride ourselves on providing a prompt and professional service, and we only use premium materials for construction, providing you a much higher quality finish and longevity to your fence or gate. 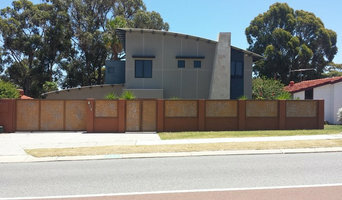 Perth's First Fence Respraying Service That Transforms Gardens Affordably. We believe your beautiful home deserves a matching fence. Manufacturer and supplier of Australian made fencing, gates, loose materials and hardware. Gate automation, accessories, parts and servicing. DiYAS is an Australian owned business designing and supplying wood look aluminium DIY fencing, gates, screens, enclosures and outdoor furniture which are supplied in convenient manageable flatpacks, easy to assemble and install. All Fencing Perth was started by Rob Martin, more than 20 years ago and now consists of a team of professionals specialising in Fence Installation and Repairs, Retaining Walls, Swing Gates Installation & Repairs, Sliding Gate Installation & Repairs, Asbestos Fence Removal and Insurance Claims. Looking for a unique gate or fence to complement your property? We can design either product to suit your requirements. Since 1998 Living Iron has provided excellence in service and product. We have been rewarded with multiple industry awards and consistent repeat business from a range of domestic and commercial clients. Commercial and domestic Fencing, Retaining & Paving. 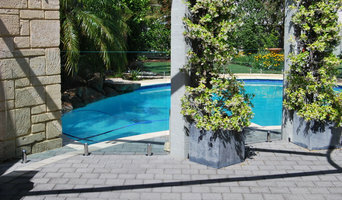 Colorbond, Hardy Fence, Chain wire / Security Fencing, Gates, and Pool Fencing. Award winning manufacturer of wrought iron products - windows, security doors, iron beds in Perth, Sydney. What does a fencing and gate contractor in Perth, Western Australia do? Find a fencing and gate contractor in Perth, Western Australia on Houzz. Scroll through this page to find professionals in your area that can design, supply and install pool fencing, driveway gates, garden fencing and more. You can browse their portfolio, read reviews and see how other homeowners rate their service, expertise and product.